Former Secretary of State Hillary Clinton joined other Democrats in their demands for the full Mueller report to be released to Congress and the public. 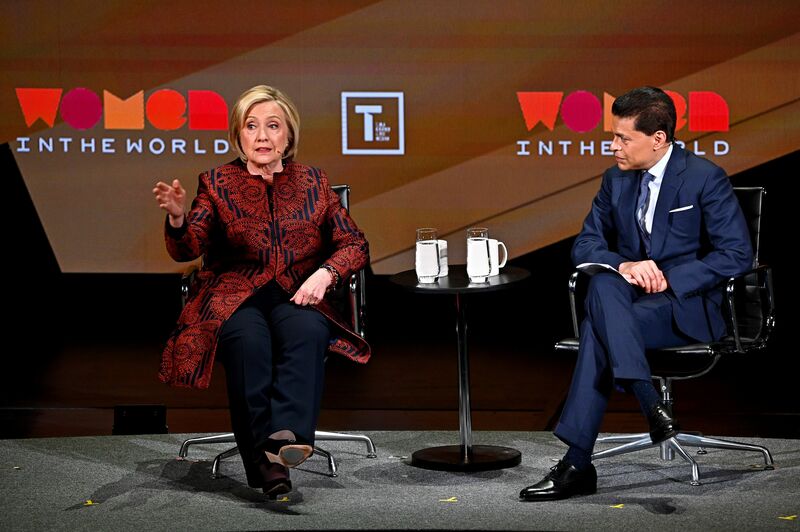 “We deserve to see the Mueller report, and if there is material that, for whatever reason, should not be shared publicly, it should be shared with the Congress,” Clinton told CNN’s Fareed Zakaria in an interview Friday at the Women in the World 10th Anniversary Summit in New York City. The report is expected to be released in the coming days, according to Attorney General William Barr, who testified last week at a hearing on Capitol Hill before House and Senate subcommittees. His summary of special counsel Robert Mueller’s investigation of the 2016 campaign said there was no collusion between President Trump's campaign and Russia. It also stated the Mueller’s findings were "not sufficient to establish that the president committed an obstruction-of-justice offense." Democrats, skeptical of the four-page summary of the 400-page report and armed with a subpoena they have yet to issue, pressured Barr for the full, unredacted report. But Barr, while testifying Tuesday, refused to divulge details about Mueller’s report or say whether the White House has seen or been briefed on it. While Trump and Republicans saw Barr’s summary of the report as “complete and total exoneration,” some Democrats have held out belief there was some collusion — like Rep. Adam Schiff, D-Calif., who has been one of the most outspoken skeptics of Barr’s conclusions and maintains his stance that there is still “significant evidence of collusion” in the 2016 presidential election. Clinton, whose 2016 presidential run was marred by WikiLeaks publishing emails obtained through Russian hacks of the Democratic National Committee and her campaign, spoke about her experience in calling for the full report.